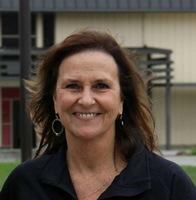 Welcome to the McKinleyville Union School District website. 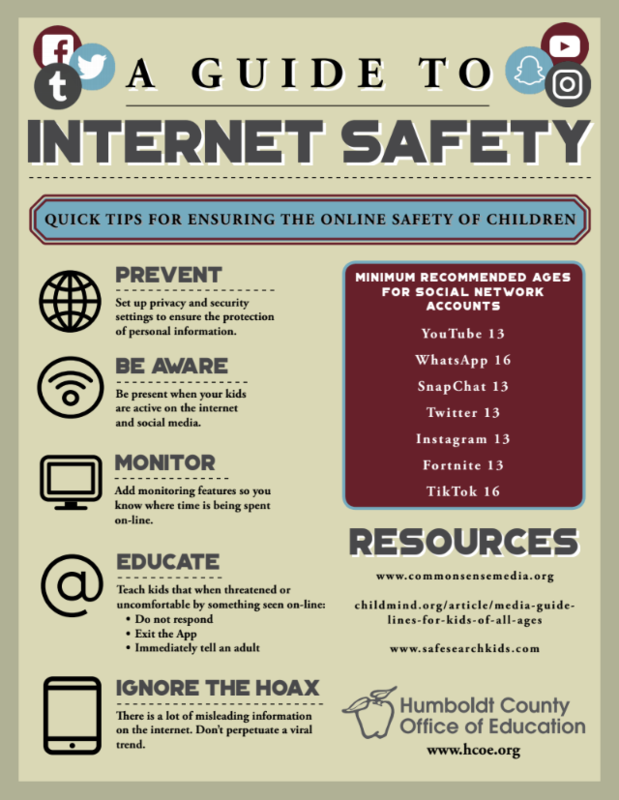 I hope you find the information on the site useful and easy to find. 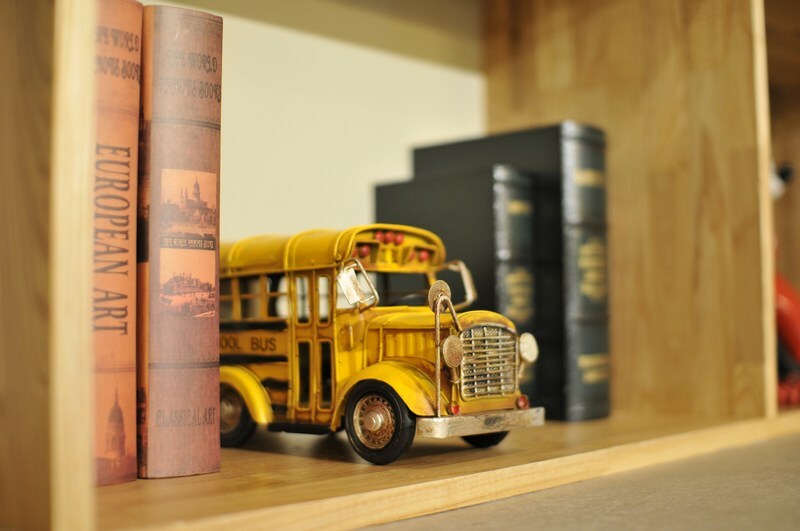 If there is something you are looking for and can't’ find, I encourage you to write to the site principal if it pertains to a particular school, or to me if it is a question about our district. 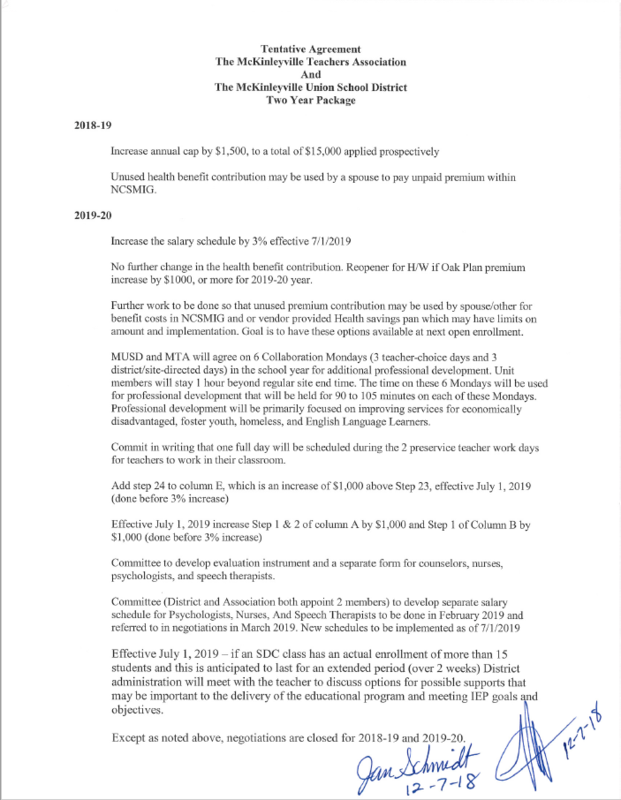 The District hereby notifies the general public that the District calls for sealed, written bids to be opened and considered at the public Board Meeting to be held on May 9, 2019, at 6:00 p.m. 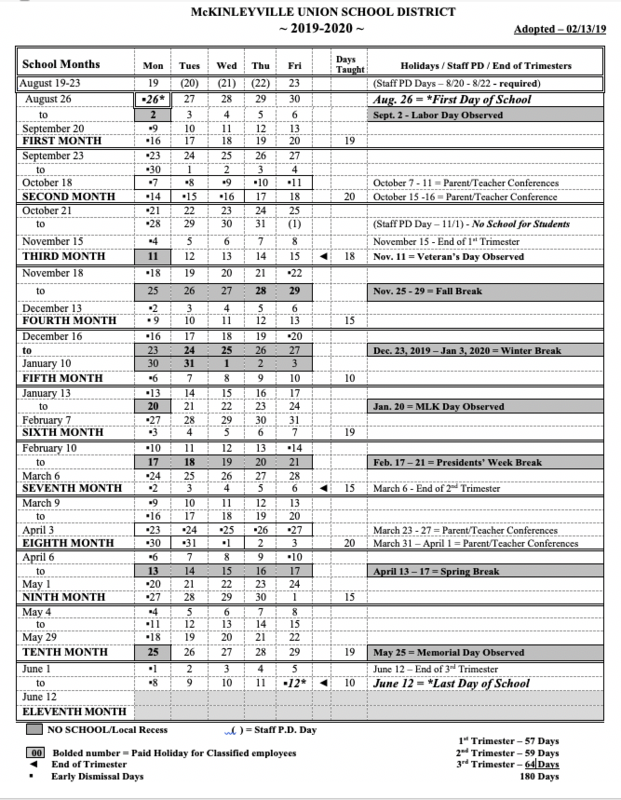 The approved calendar for the 2019-2020 school year. 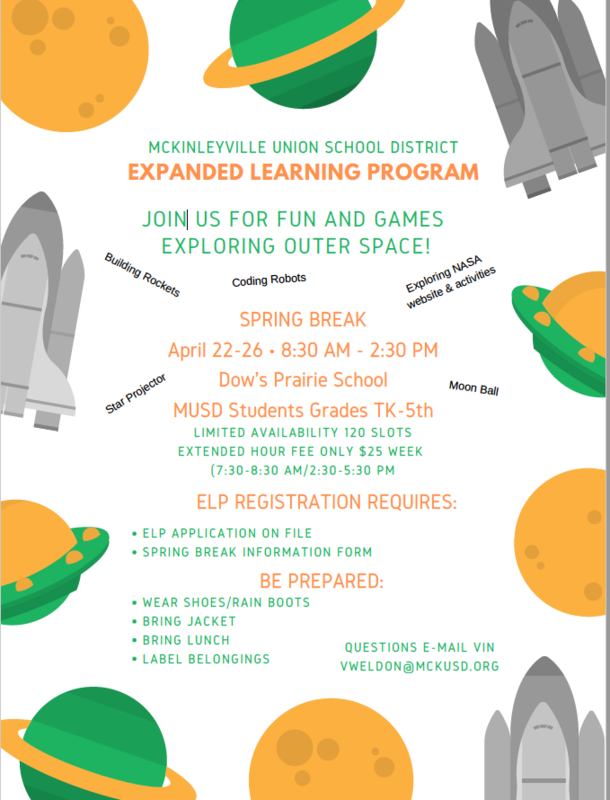 The MUSD Expanded Learning Program will be operating during the Spring Break, April 22-26. Register soon, space is limited. 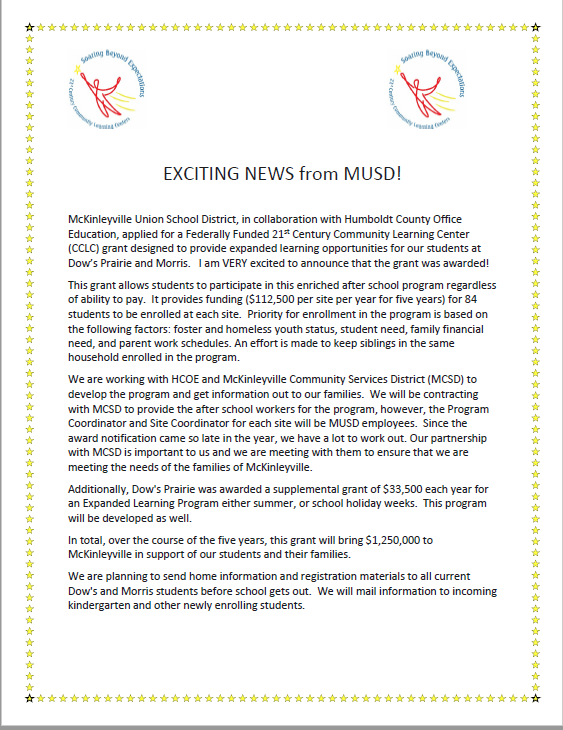 Contact Vin Weldon for more details at: vweldon@mckusd.org. 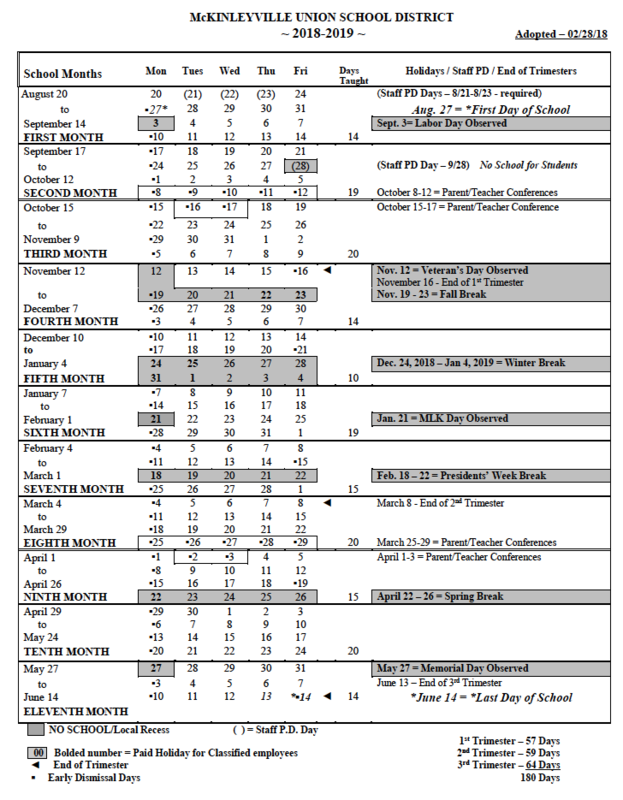 The Tentative Agreement is out for public review prior to the Board taking action. 21st Century Community Learning Center for 2018-19 school year at Dow's Prairie Elementary and Morris Elementary.